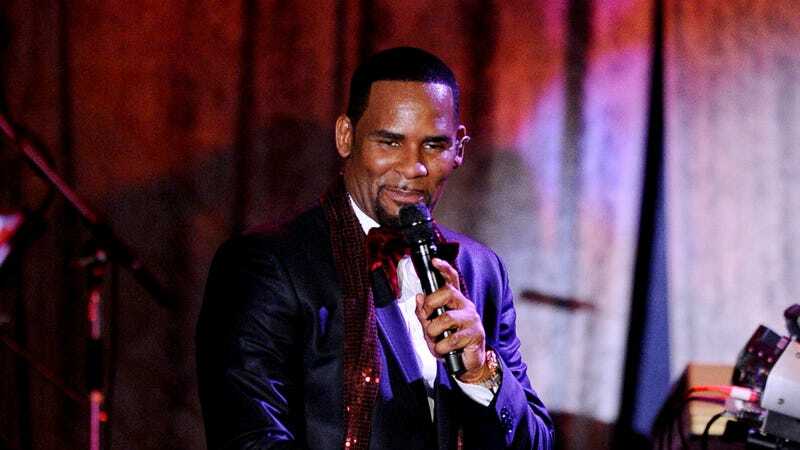 Singer R. Kelly performs at the 2011 Pre-GRAMMY Gala and Salute To Industry Icons Honoring David Geffen on February 12, 2011 in Beverly Hills, California. R. Kelly’s (self-inflicted) issues are compounding. Next up? Arrears. According to the Chicago Sun-Times, the R&B singer has to pay more than $173,000 of delinquent rent to his landlord as well as court fees and he has a week to do it... or risk eviction. January 21 is the fateful day, to be exact. So, the landlord wanted their damn money and R. Kelly was basically like, “Now usually I don’t do this but uh ...” and continued not to do it? If you remember correctly this is near the same West Side Chicago warehouse that is, in fact, scheduled for an emergency building inspection today (January 16). Though the inspection on January 16 is in connection with zoning violations, Cook County State’s Attorney Kim Foxx requested that accusers come forward so that she may move forward with a criminal investigation, as well. The building’s owner, Midwest Commercial Funding is currently selling the building located on 219 N. Justine Street. R. Kelly is the sole tenant.